It is easy to imagine the anticipation that may have filled Maria Bentley Christian’s heart as her marriage approached and skillful hands created this wedding dress, which would become a family heirloom. Could she ever have anticipated the journey that lay ahead for her and her new family and what they would sacrifice for the gospel? Maria (pronounced Ma-RYE-ah) was born on April 10, 1813, to William Christian and Mary Bentley.1 She grew up in a large family in the little parish of Graveley, Cambridgeshire, England. By age 20, she had fallen in love with John Linford, the owner of a shoemaking business in the area, and they made plans to marry. Their wedding took place on June 24, 1833, in their home parish of Graveley.2 They were still living there several years later when Mormon missionaries came to preach. One Sunday the couple attended a meeting, accompanied by Maria’s father, William. They were surprised and inspired by what they heard. William exclaimed, “Why, it is the old gospel come to earth again!”3 But the missionaries left, and William died before they returned several years later. Maria and John were both baptized in 1842. The Linfords were persecuted for their newfound faith by relatives and others in the community. One of their tactics was to stop patronizing John’s shoemaking business, which eventually forced him to let his workers go. Yet the Linfords never wavered. In the spring of 1856, they responded to the call to gather to Zion. They took with them three of their four sons, George (age 17), Joseph (age 14), and Amasa (age 11). But they left behind their oldest son, James (who was 19 and serving a mission at the time); their extended family; and most of their belongings. Among the few items they chose to bring was Maria’s cherished wedding dress. The trek west was difficult under the best of circumstances, but it became perilous for the Willie company as food ran out and an early winter set in. John worked tirelessly to help his family and others, but the rigors and privations of the journey took their toll. He became so ill that he was unable to walk, and Maria and her sons pulled him in their handcart along with their supplies and belongings. That October, the company pushed their way through deep snow as they neared the sixth Sweetwater River crossing. On October 20 rations ran out and snow continued to fall. With members of the company sick and dying, the company decided to stop until help arrived. It soon became clear that John would not survive. The rescuers arrived later that same day, just hours after John’s passing. As John had predicted, Maria and their sons all reached the Salt Lake Valley safely, though it took them some time to regain their health. Her wedding dress was one of the few earthly possessions she’d been able to keep through their ordeal. Maria passed away in 1885 at the age of 72.9 Before she died, she bequeathed her wedding dress to her son Joseph. The dress was passed down from one generation to the next until the family donated it to the Church History Department in 2011. Maria’s wedding dress stands as an enduring symbol of faithfulness, sacrifice, and bonds of love that last through eternity. See Eliza Maria Linford Denio and James Linford, “The Life of John and Maria Christian Linford” (life sketch on FamilySearch.org, June 23, 2014). See “England Marriages, 1538–1973,” microfilm 496, 697, Family History Library, Salt Lake City; FamilySearch.org. See Thomas S. Monson, “True to the Faith of Our Forefathers,” Ensign, July 2016, 4. Andrew D. Olsen, The Price We Paid: The Extraordinary Story of the Willie and Martin Handcart Pioneers (Salt Lake City: Deseret Book, 2006), 137; see also Thomas S. Monson, “True to the Faith of Our Forefathers,” 4–5. See Olsen, The Price We Paid, 137. See Olsen, The Price We Paid, 203. 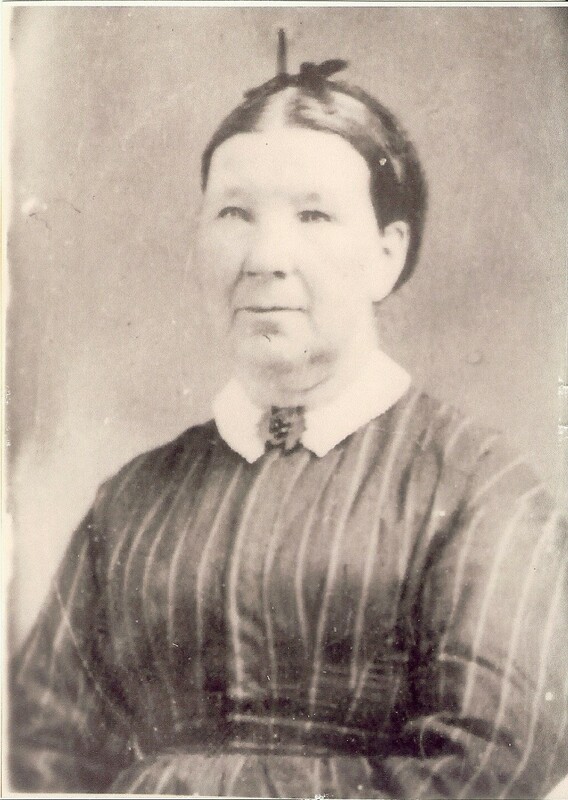 See Olsen, The Price We Paid, 203; “Wife of John Linford Jr.: Life Sketch of Maria Bentley Christian Winford Rich” (account submitted to FamilySearch.org by Aaron Logan Treglown, Feb. 17, 2014).